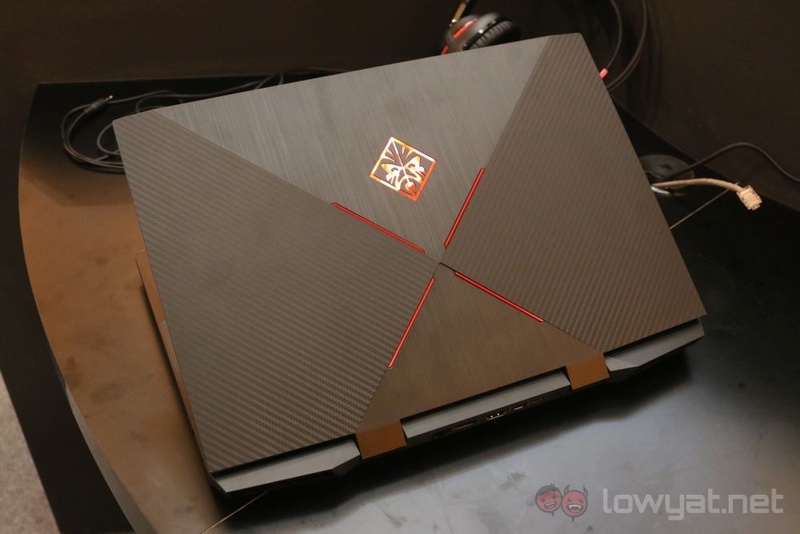 Making its debut in Malaysia yesterday alongside Omen 17, the 2018 HP Omen 15 looks a lot like last year’s iteration. In fact, we’ll go as far as saying that there’s no change to the design language. 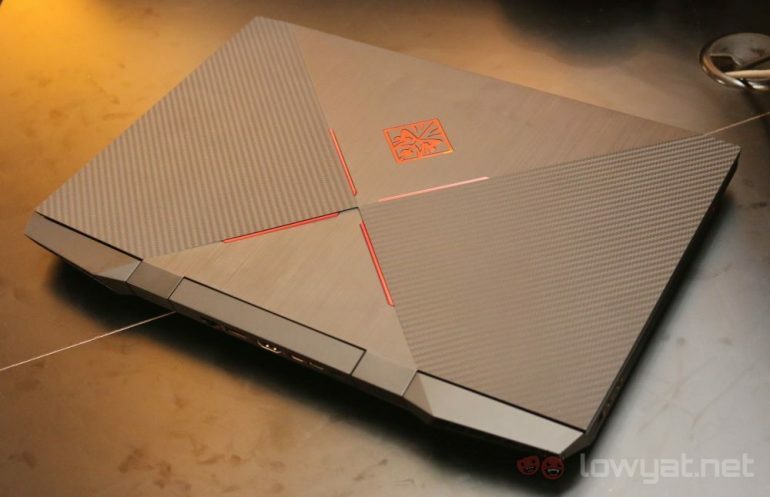 The color scheme is the familiar red on black, a cross-like design at the center of the lid and the Omen logo slightly above. The vents look very much alike as well. On the other side of the lid is likely our favorite improvement – the bezels surrounding the display is a lot thinner. This would reduce the Omen 15’s footprint, essentially making it smaller than it used to. 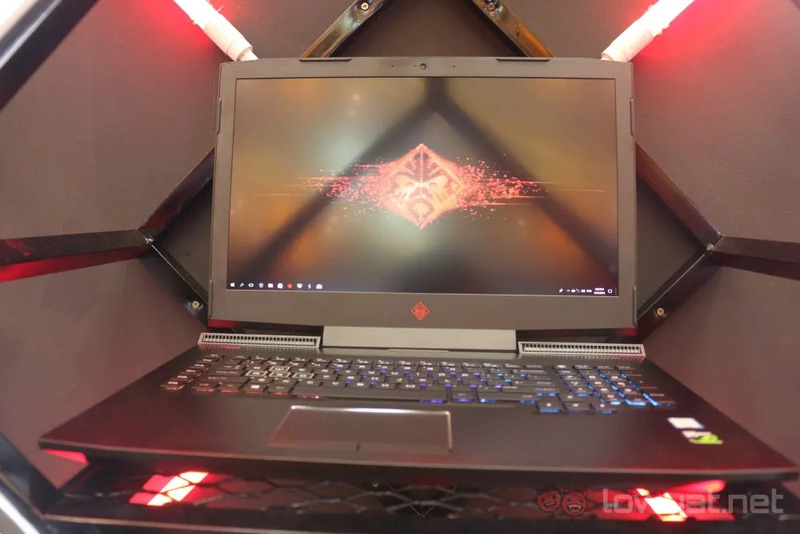 This seemed to be an upgrade that’s exclusive to the Omen 15, as the Omen 17 looked like it still had the traditional thick bezels of most notebooks out there. One odd design choice was placing a fair number of ports at the back of the unit. 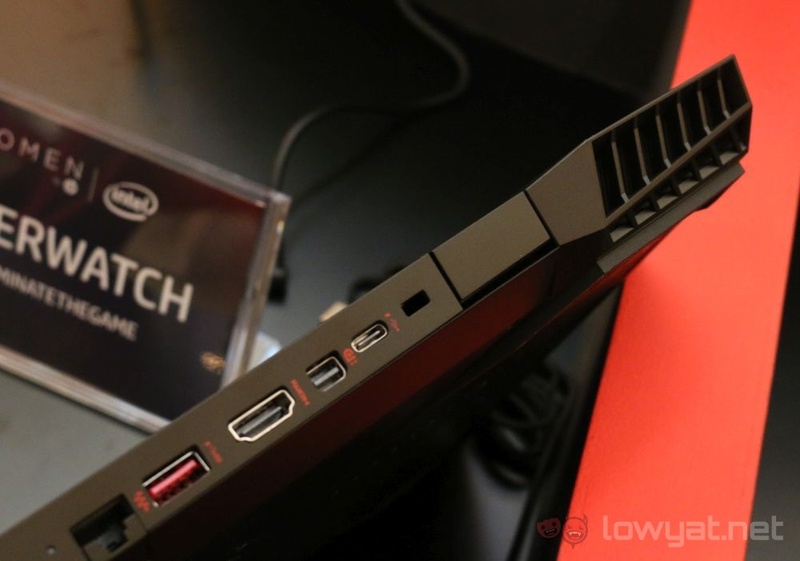 While fortunately there’s one USB port on each side for an external keyboard and mouse, if you need another USB Type-A drive or a USB Type-C plugged in then it will have to go in at the back, which can be quite the hassle. Placing the HDMI and LAN ports there, though, is a great idea as they’re usually things that you forget about once they’re in place. 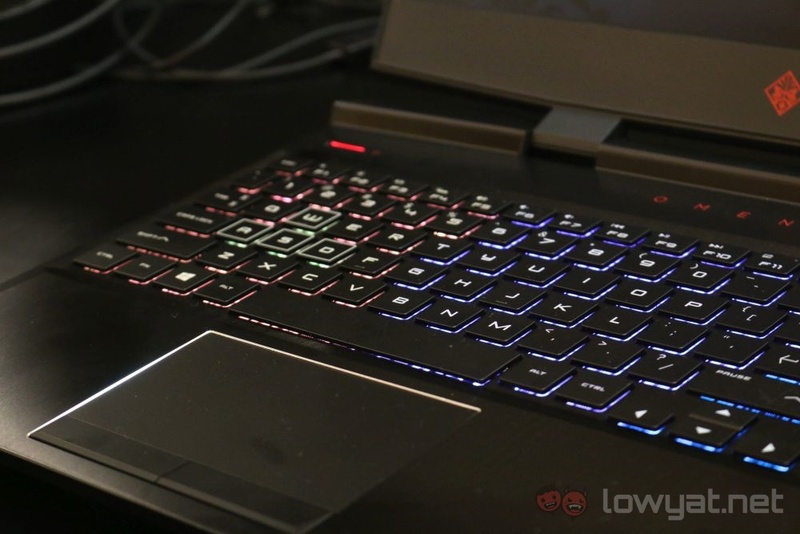 Like last year, the WASD keys are highlighted but this time around, the backlight for the keyboard is not a solid red. In fact, there seems to be three distinct different lighting zones. HP says there are four, but where the fourth one is, it wasn’t immediately obvious. 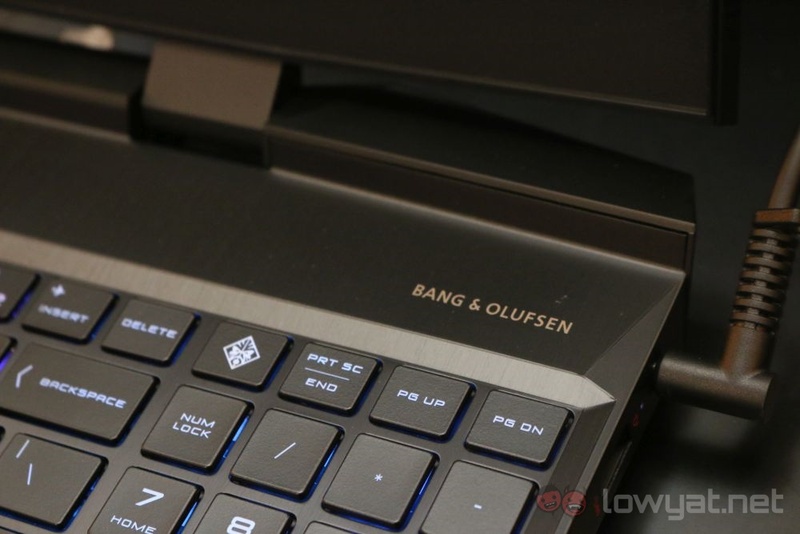 The keyboard on the Omen 15 is surprisingly good to type on. There’s the usual chiclet travel, but it isn’t too stiff nor too soft, and as such requires a comfortable amount of force to push a key in. That said, this may be because it’s a model that’s out on display to the public, and it’s been seasoned, as it were. 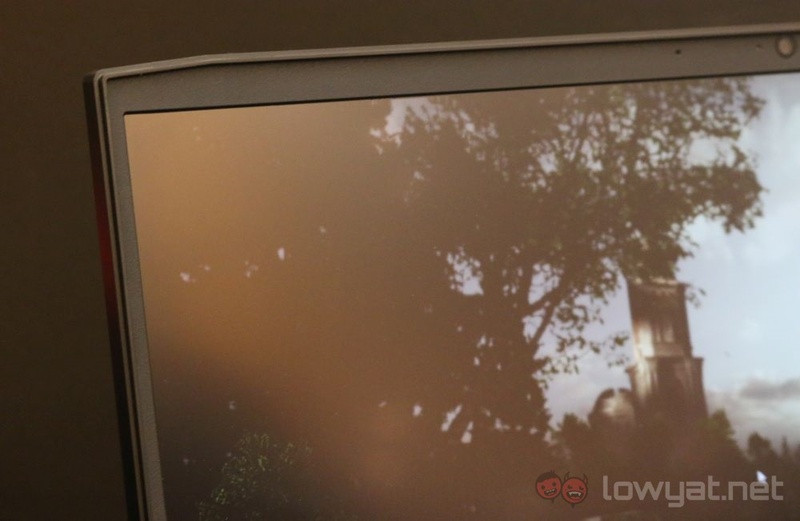 Speaking of display units, HP has arranged that specific machines be used for specific games. We gave the two games – Overwatch and Dota 2 – a try, and those Omen 15s were able to run their specified games smoothly, despite having only 8GB of RAM. That said, it’s not an entirely fair test, and we can’t say for sure if a single machine can handle both or more games if we were to frequently switch between them. HP says you can easily remove part of the bottom panel if you need a RAM or storage upgrade. Assuming that it comes with two 4GB sticks by default, that’s the RAM issue thrown out the window. The pricier model also comes with one less storage drive, but with the easy access to them that’s another issue that can be circumvented although at an additional cost.